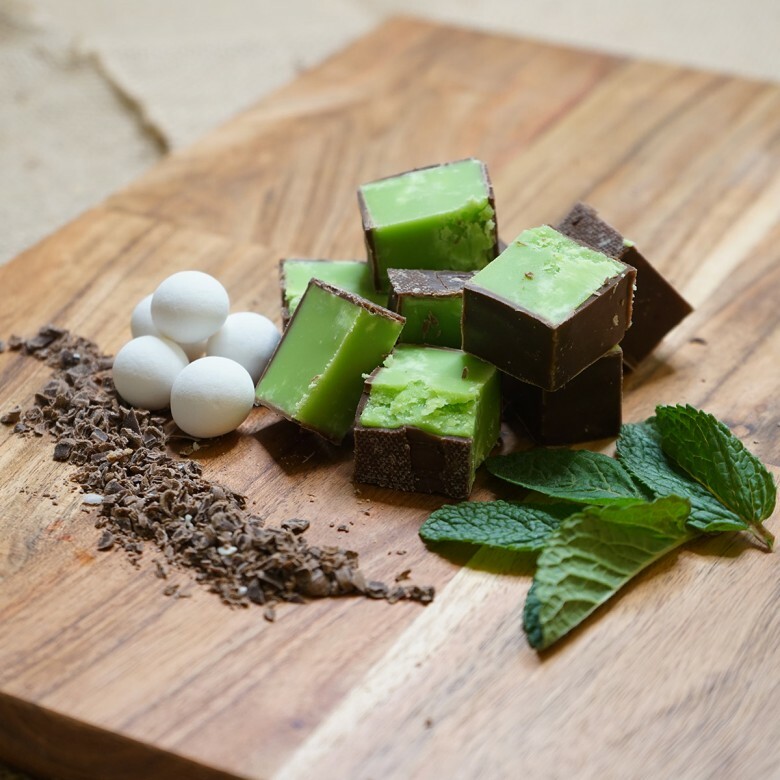 Mint Fudge - The unmistakable crisp taste of freshly picked mint leaves this popular flavour takes your breath away leaving your mouth cool and airways clean. Sweet and smooth with a lavish coating of Belgian milk chocolate. Mint Fudge is available in two sizes; a 150 gram bag or a 450 gram box.